The job fair brought together jobseekers, businesses and educational institutions. This event was an excellent opportunity not only for business to connect with potential employees or interns, meet face-to-face with interested and talented students but also for candidates to build their network of professional contacts, explore their career options and how they can put their degree to work, discuss current and future work opportunities with a variety of organizations. Orient Software was the gold sponsor for this event. 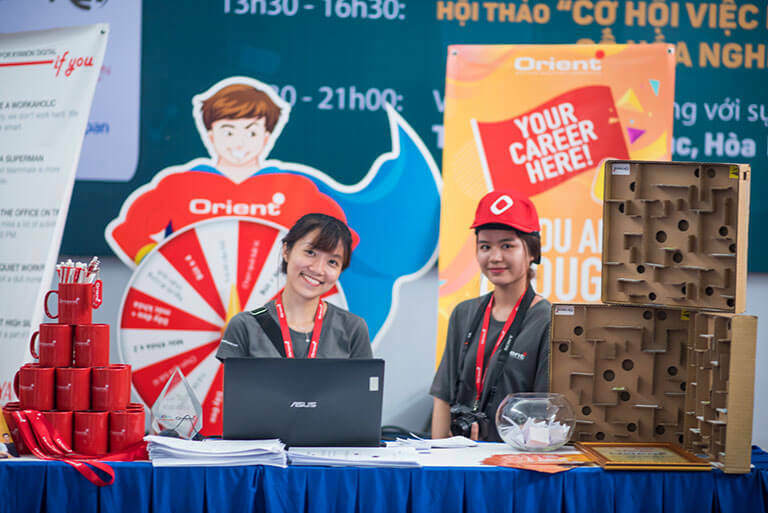 Orient took full responsibility for setting up Digital Job Fair system with vip24 (check-in to allow students to profile themselves), deployed landing page for registration, and undertook lots of marketing activities to promote the event. We were very happy to meet thousands of the students and alumni who were actively seeking degreed entry and mid-level jobs and career-related trainings and internships from diverse backgrounds and disciplines. At the same time, we also learnt to know students studying a variety of different majors including business, engineering, technology and much more! 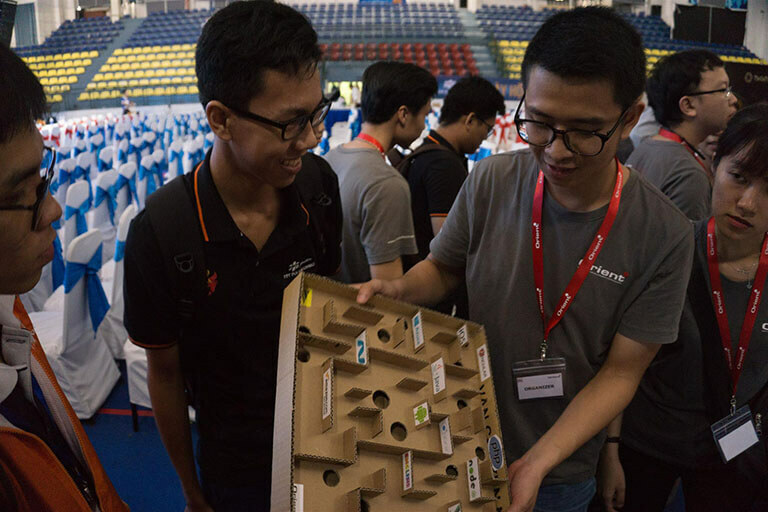 Especially, at the booth of Orient Software, we decorated and prepared a couple of funny games such as Maze game; check-in game; vip24 game. The students were excited to participate and receive many lovely gifts. Some of the girls told us the maze game was quite difficult but they would try to win because they could not lose to the boys. The game that we called “Orient maze” is a path or collection of paths, typically from an entrance to a goal which is the career at Orient. We put a couple of stickers on maze symbolizing the challenges you have to pass at Orient’s recruitment process such as English; .NET; Angular; etc. Besides, the students could take a photo with Orient superman and attach hashtag #OrientSoftware, #YourCareerHere and make a Facebook post public. They could spin lucky wheel leading to many gifts when joining the game. 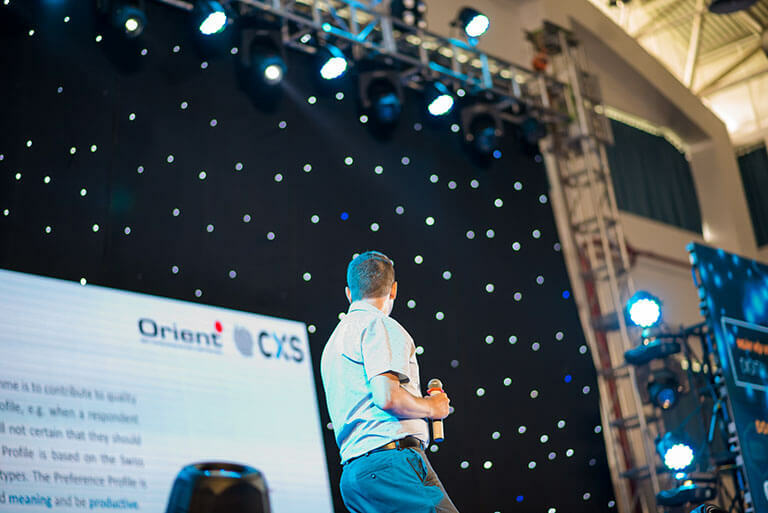 Øyvind Forsbak – Chief Technical Officer and Co-Founder – presented on stage for the fair audience about Orient Software’s culture, available job positions and the recruitment process. Our company always focuses on the corporate long-term recruitment strategy and increase brand awareness about the organization. We are fully aware how important good human resources are for the development of the company. 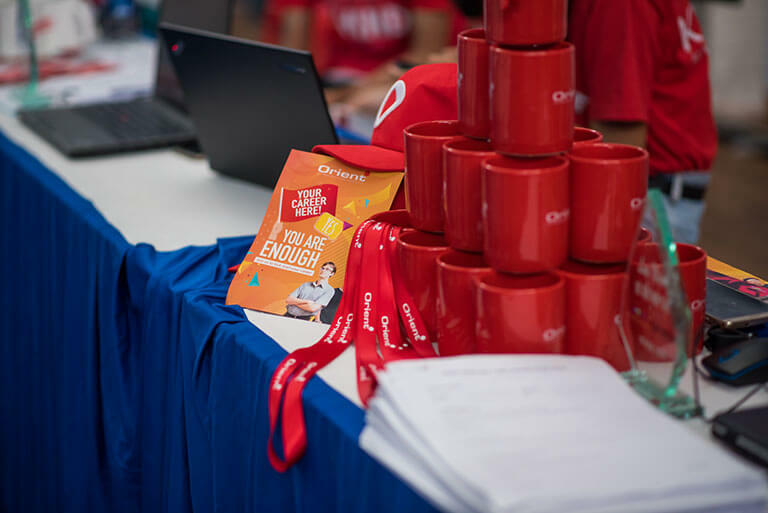 If you want to work in an international environment where opportunities are offered, skills are stretched and excellence is rewarded, you might be exactly what we’re looking for – Orient Software. Anh Pham is responsible for all marketing matters at Orient Software.